I suggest that you do a few smocked panels before you begin to customise your own, so you understand how they work best. 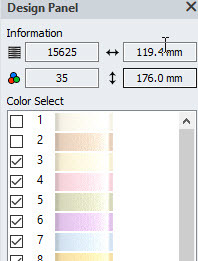 Within sets 2 through to 5 you will find various blank panels which can be used as the basis of your own unique panel. 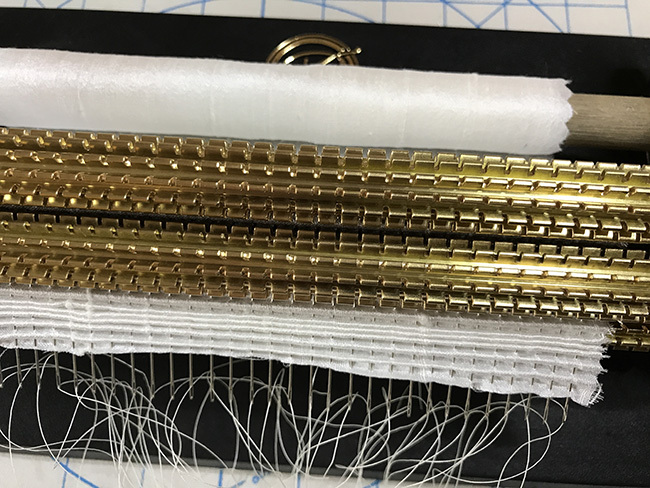 Be sure you can distinguish between vertical and horizontal panels too, as you don’t want to smock your precious fabric, apply it to your stabiliser and find that the tucks are going in the wrong direction! Believe me when I say that it can happen to the best of us. 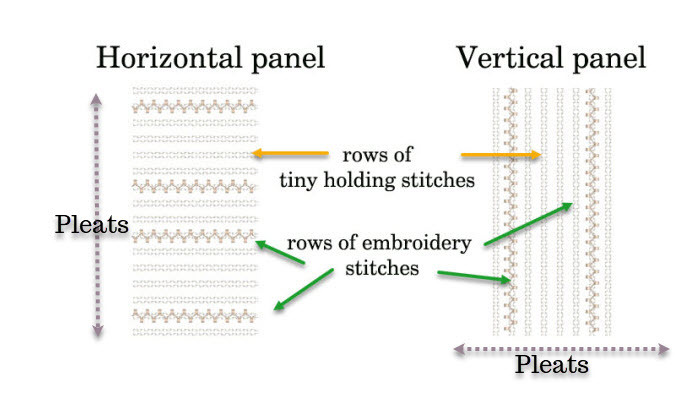 To make this clear a “vertical” panel has horizontal tucks, folds or pleats and the holding stitches secure them vertically, so a horizontal panel (which is the more common panel for children’s dress yokes) has vertical tucks, pleats or folds that you held in place by horizontal holding stitches. Remember too that some designs are rotated to fit the shape of the hoop. 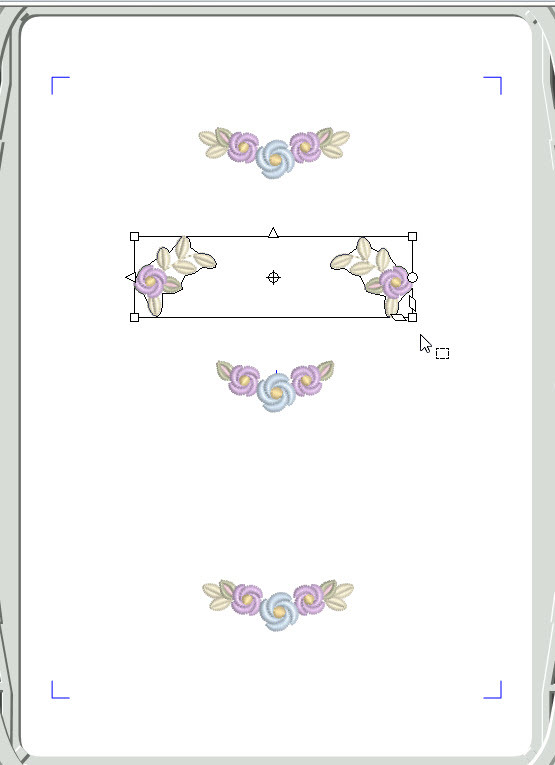 In my accompanying PDFs I always rotate such designs so they are displayed as I intended them to be viewed once completed. I have also labelled all the panels in this collection as “vertical” and “horizontal”. 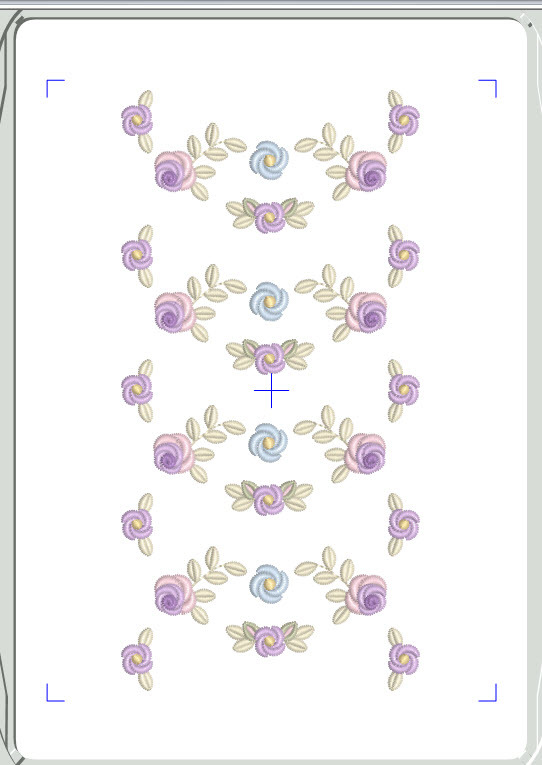 Finally to clarify further the tucks will go in the opposite direction of the holding stitches so picture this in your mind as you prepare your fabric for the panel embroidery. Study this image where I have super imposed a panel design over some smocked fabric, and have marked all the relevant stitches so you know exactly what I am referring to. This design is a vertical panel. 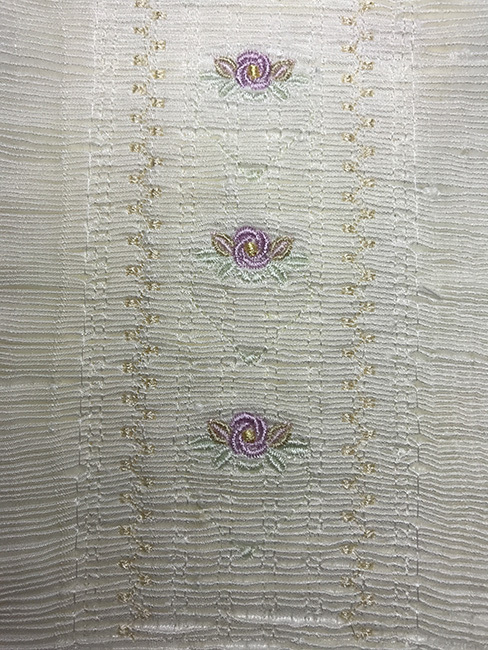 Here it is complete in delicate colours on quite tightly pleated silk dupion. On reflection I think I used to pale green for the hearts and leaves. Notice too that with slubby silk you get some distortion of the tucks. There are also other possible panels that you can create. 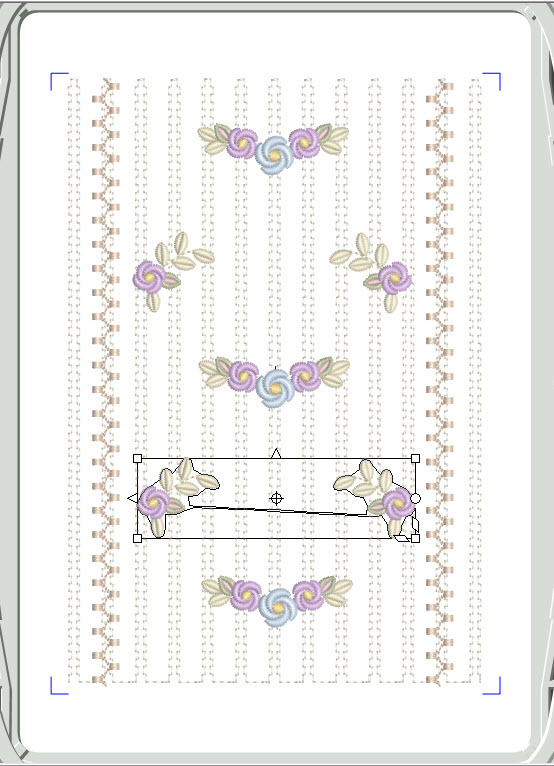 Take a look at the designs in Arabella Bullion 2. 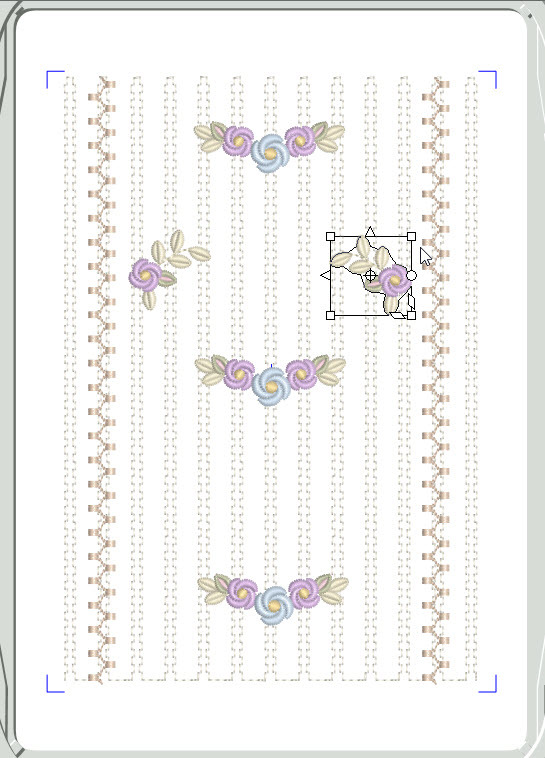 The last two designs, #23 and #24 have a different set of holding and embroidery holding stitches and there is no reason why you cannot load these designs in your embroidery software and edit out the embroidery design leaving the basic panel. Then you can add another small element, carefully positioning it so it looks good and then copying and pasting it in other sections of the panel. 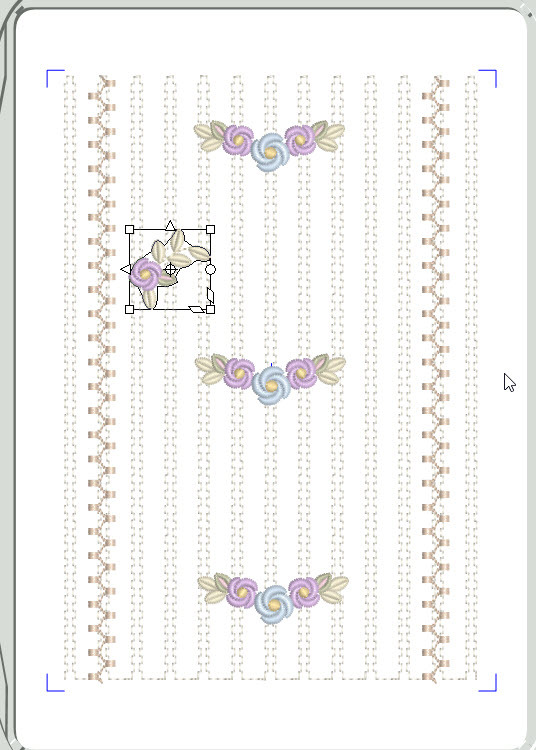 When this is done and everything is balanced you will need to colour sort your thread colours, save the design under a new name, so you don’t lose the original file and send it to your embroidery machine. Let me take you through the process of creating a panel. 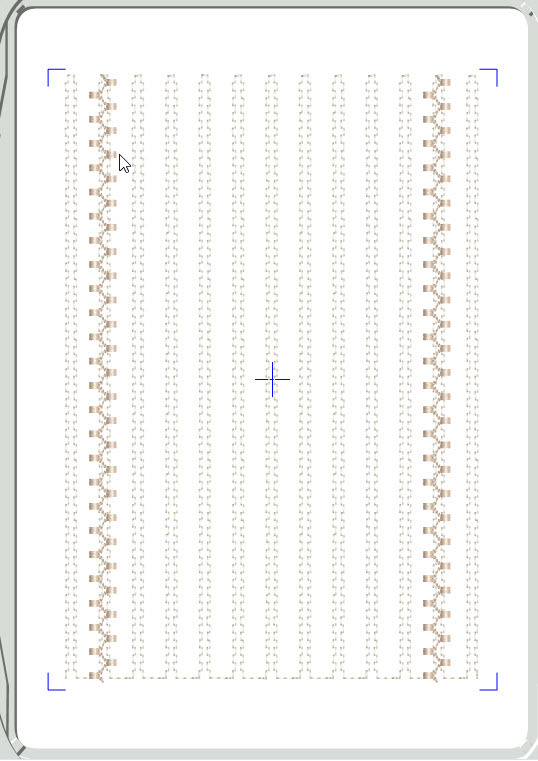 Open GFE-ARB-2-22 in your software. Delete the embroidery which is visible. You now have a blank smocking panel to work with. Open GFE-ARB-1-4 or similar design. Copy this design on to the clipboard. Centre the design on the panel. Paste the design twice more and place above and below. Open GFE-ARB-freebie and copy to the clipboard. Paste on to your panel. Paste again and flip the design horizontally, so you get a mirror image. Place opposite accurately. 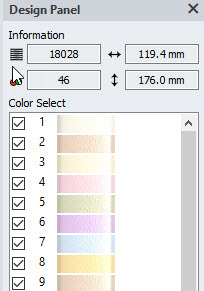 Deselect the first two colours. 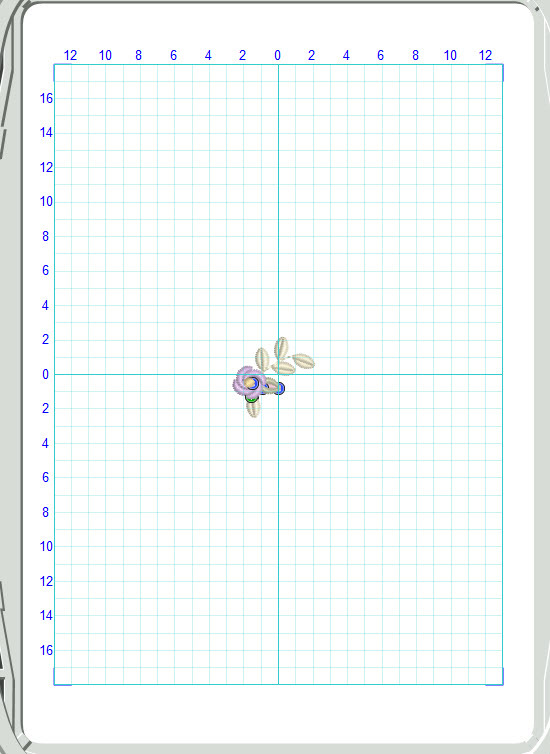 Place a selection box around the last 2 designs that you had added to the panel. 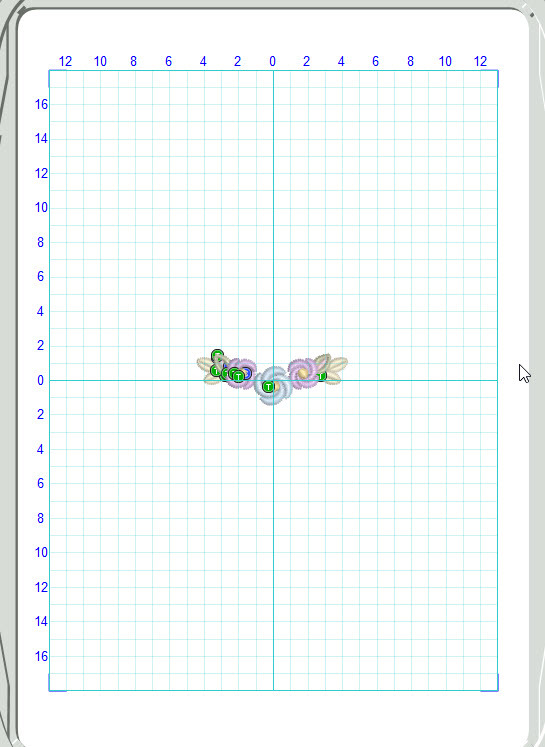 Copy and paste these designs, moving them below the centre to correspond. 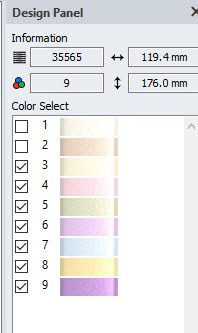 Your design is complete but there are 46 colour changes, so colour sort them to 8 so the design is easier to stitch out. Save the design under a new name, and you are ready to go. Notice that I did not cover the embroidery stitches at the side of the panel. These are indeed very versatile designs and I hope you enjoy playing with them. There are so many different panels that you can create. So far I have loved delving into the world of smocking with my friend Pamela Cox, who has written a Tutorial on smocking to accompany this collection. There are 10 unique designs in this tutorial so I heartily recommend it to you. Before beginning the work on this collection, I invested in a 32 needle Read Smocking pleater from the House of Smocking. Now there is an idea for that last minute Christmas present to ask for. Do grab a cup of coffee and browse this wonderful website full of beauty and inspiration. Within this collection there is a lot more than just smocking designs. 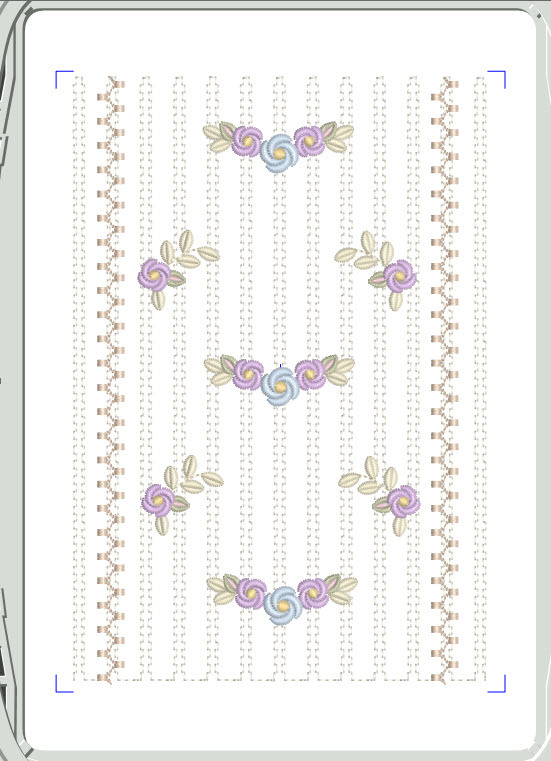 This scalloped shape has been created with a background from the stitches on the smocking panels. 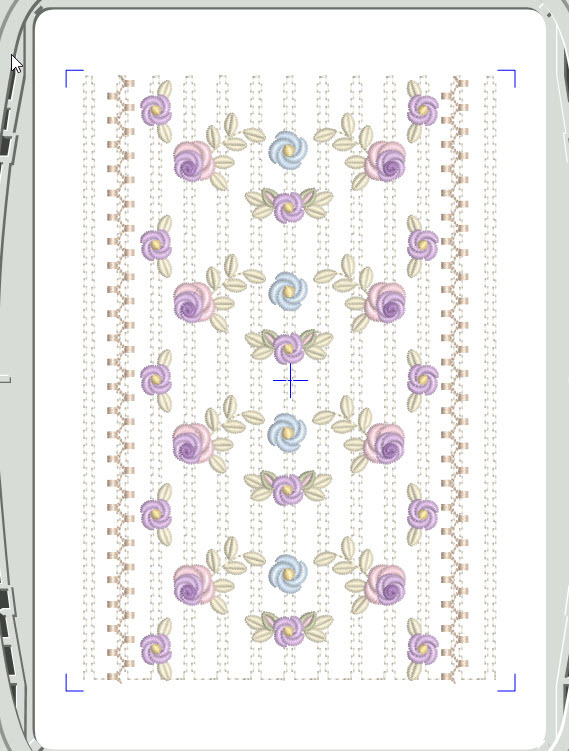 Many of the designs can be used for heirloom and bridal embroidery. The second set from the Arabella Bullion collection will be released on 13th December, 2017. 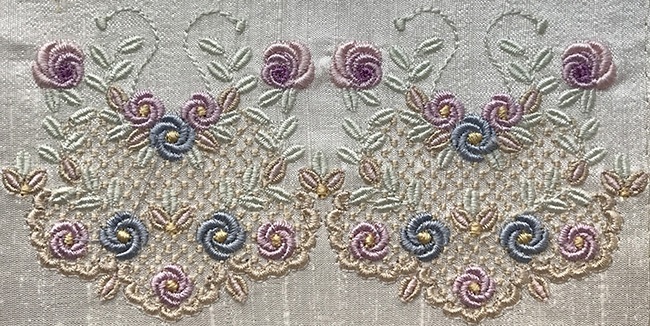 This entry was posted in Discussing machine embroidery, Embroidery projects, New Designs and tagged Bulllion roses, combining embroidery designs, machine embroidered smocked panels, machine embroidery, Smocking designs. Bookmark the permalink. Make a unique and great comment! 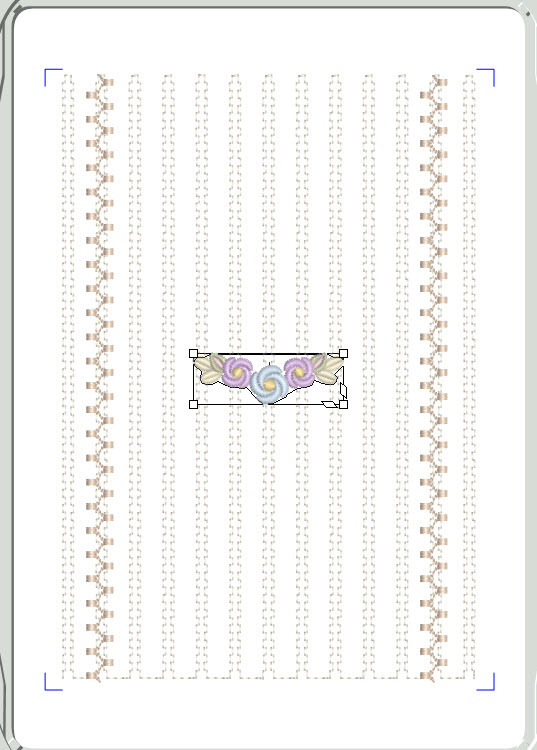 Here is your opportunity this week, to earn $30 in rewards to spend at Graceful Embroidery. I love that I able to easily share techniques and ideas in my blog and also in other social media. It means that although far away you can visit with me in my studio. Watch out for a video or two in the New Year. Happy Christmas. 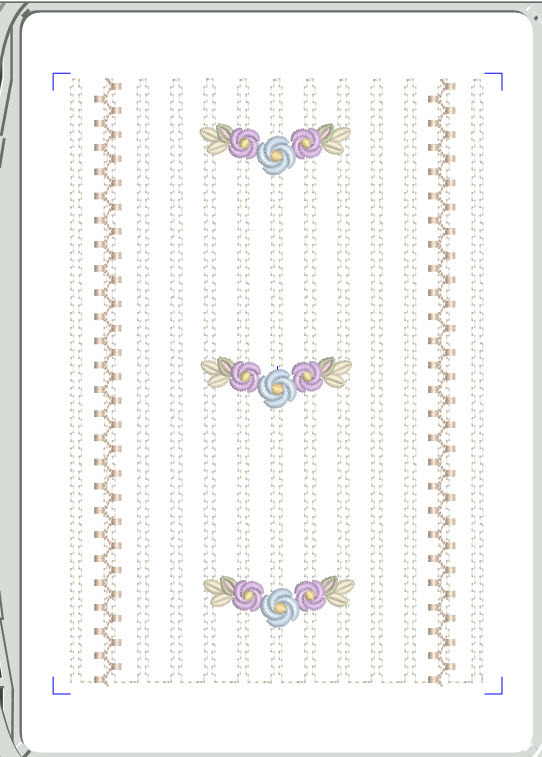 I will look forward to the video and actually viewing how you create these spectacular smocking panels . I am fascinated by learning through you tube, as I can view them over and over to review things that I may have missed or do not remember. What gorgeous work you do. I see that these designs can be used for so much more than smocking. You designs are so versatile and be used in many different ways & combinations. Thank you.